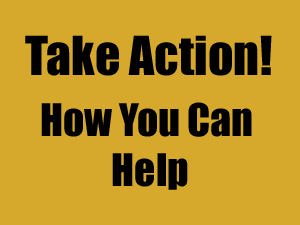 Can FERC Leadership Be Trusted With The Public Interest? Neil Chatterjee is promising to follow the facts and the law? The newly minted chairman of the Federal Energy Regulatory Commission (FERC) says he is committing to keeping the agency neutral and avoiding political influence. Neil Chatterjee, a Republican, was tapped last week by President Trump to succeed Kevin McIntyre, another Republican, atop FERC. McIntyre will remain as a commissioner on the body, which has five spots but only four commissioners. FERC and the companies and organizations that deal with it say they value the agency’s independence and neutrality — something which Chatterjee echoed Wednesday. 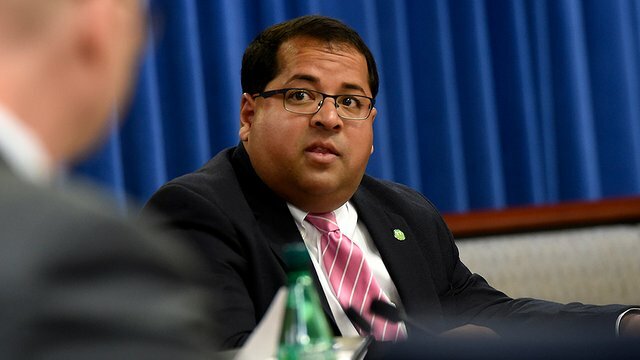 “No one was more committed to ensure the depoliticization of the agency and not allowing political interference than Kevin McIntyre,” Chatterjee told reporters Wednesday at FERC’s Washington, D.C., headquarters, adding that he wants to maintain the example McIntyre set. “There’s no evidence that there’s been political influence or interference at the agency,” Chatterjee said. Chatterjee pointed to one of FERC’s most contentious issues: whether to require higher electricity payments to coal and nuclear power plants, as Energy Secretary Rick Perry proposed last year. FERC unanimously rejected the proposal in January, but also kept the door open to future action, including inviting comments from stakeholders. “Whatever we do is going to be fact-based, and that’s something that I and my colleagues take very seriously. This will not be a politically influenced decision,” he said. While the Senate must confirm all FERC commissioners, Trump has the authority to unilaterally appoint the chairman from among the confirmed commissioners, without Senate approval. Before coming to FERC last year, Chatterjee was a top energy adviser to Senate Majority Leader Mitch McConnell (R-Ky.). He was chairman briefly last year before McIntyre was confirmed by the Senate. Like his old boss, Chatterjee is from Kentucky, and is concerned about the impact that closing coal plants has on miners and their communities. But, he said, that concern will not factor into his decision on the issue of support for coal and nuclear plants. “When I first came to the commission last fall, coming from a partisan legislative role in which I worked on behalf of my boss to fight against the retirement of coal-fired generation, initially, I was sympathetic to Secretary Perry’s proposal, because of my concern for these rural communities, because of my concern about what the retirement of nuclear units would mean for mitigating carbon emission,” Chatterjee said. He declined to give a timeline for FERC’s consideration of the issue of electric grid resilience, which is the banner under which it considered Perry’s proposal. Overall, Chatterjee promised that little will change at FERC after the chairman switch, including priorities and staff. “Kevin demonstrated tremendous leadership in these areas and I intend to do my part to build on what he did,” he said. He also plans to keep the staff that McIntyre brought on, in the name of “continuity.” That includes Chief of Staff Anthony Pugliese, who has faced bipartisan condemnation amid accusations that he is overly political, such as by helping the Trump administration to identify power plants that it might want to work to stop from closing.